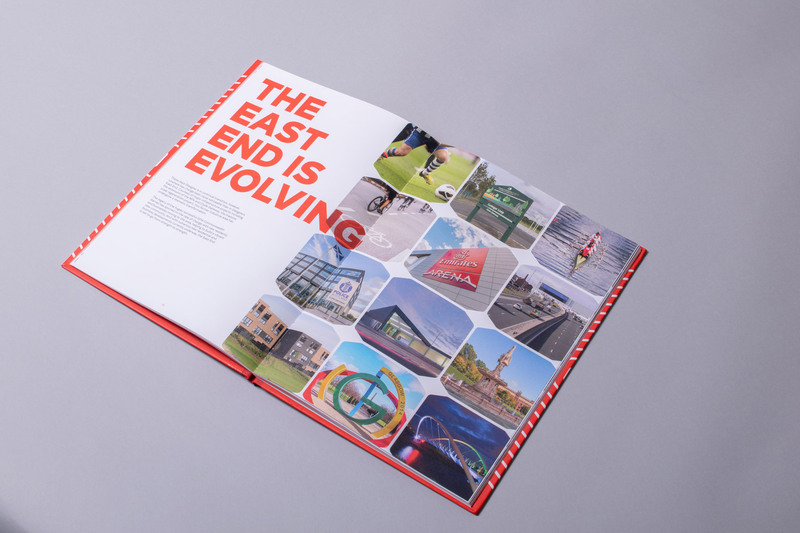 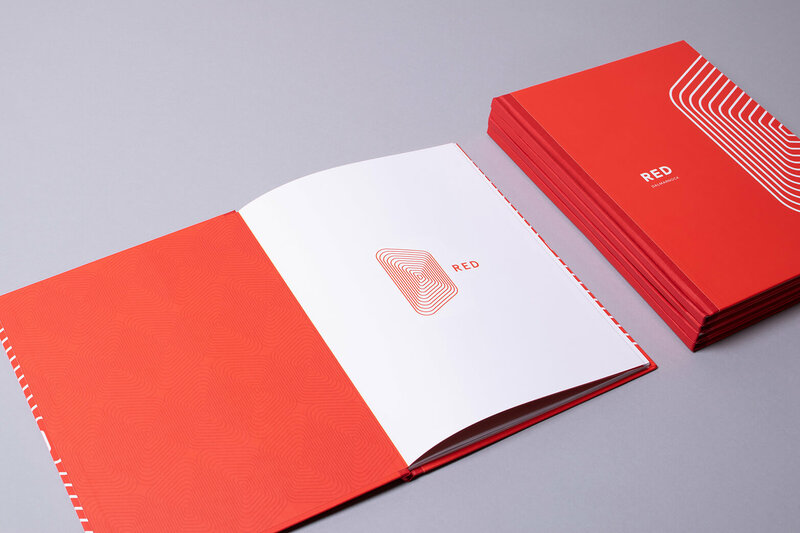 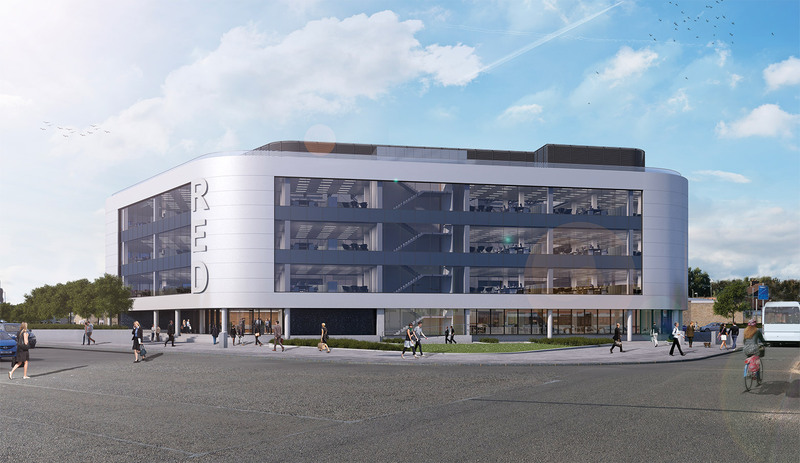 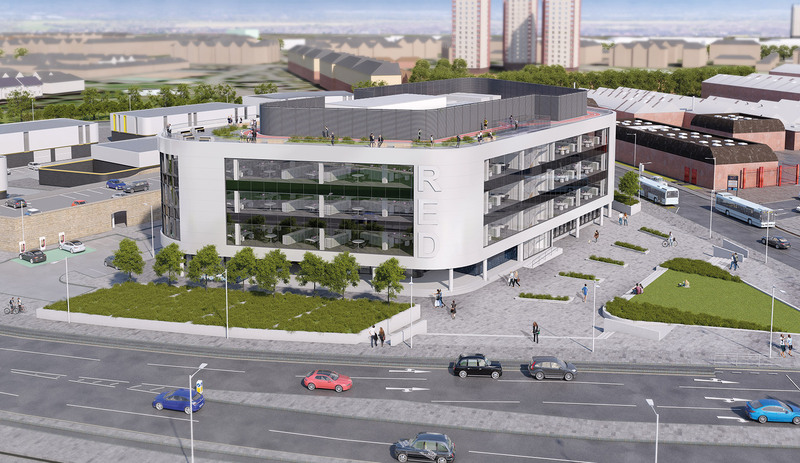 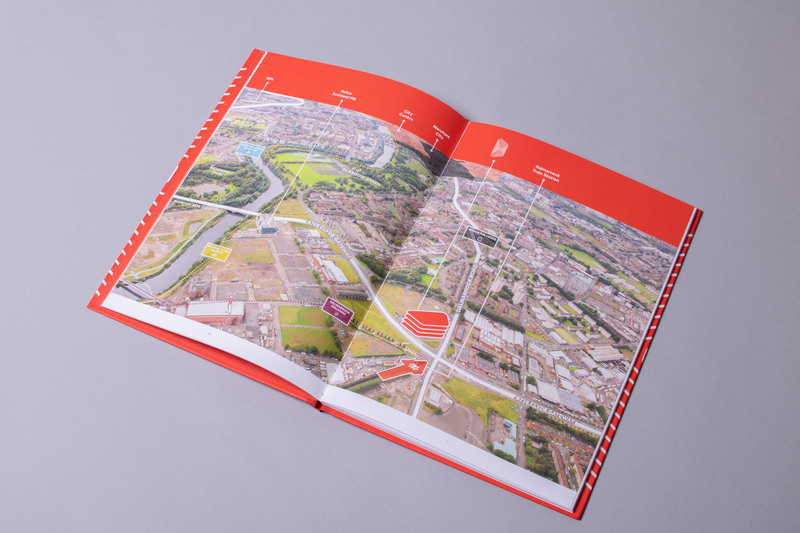 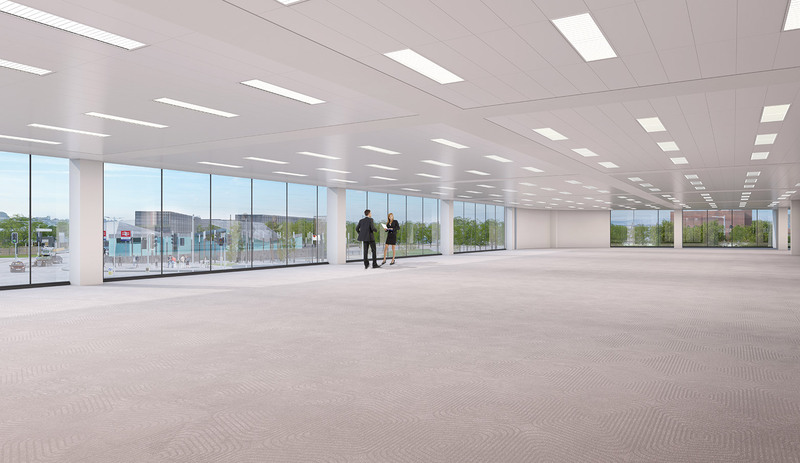 With Glasgow’s East End going from strength to strength we were invited to craft a brand and marketing collateral for what is set to become one of Glasgow’s most future proofed office buildings, RED Dalmarnock. 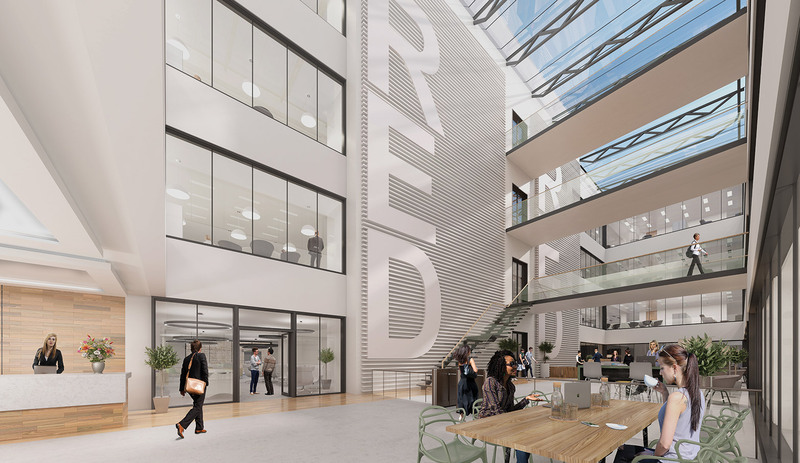 The distinctive footprint of the RED building allied to the potential for an occupier to incorporate a rooftop running track informed the linear design of the brand. 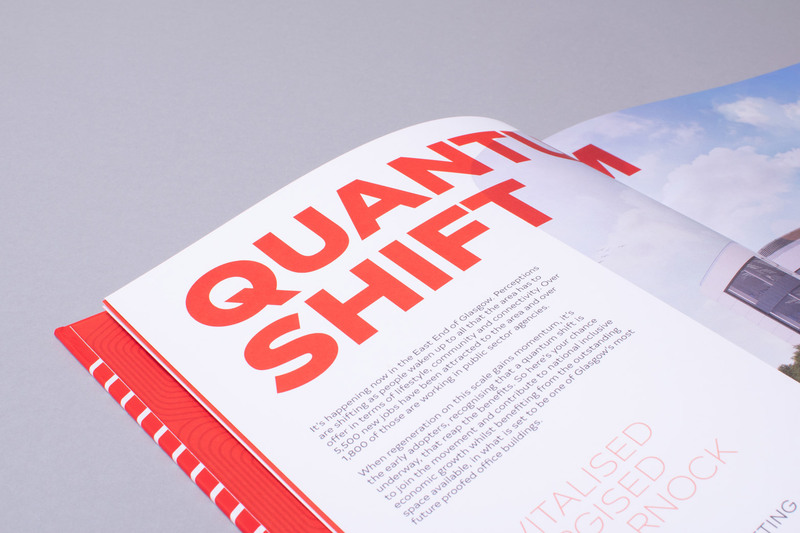 The bespoke hardback books designed for presentations incorporated the curved elements of the brand to produce a cohesive visual style. 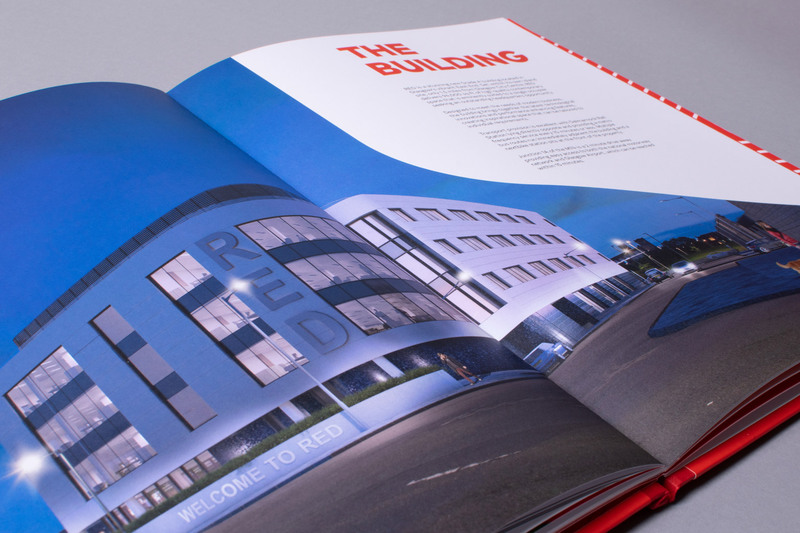 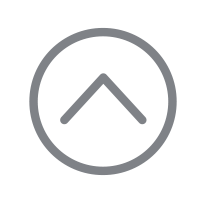 Illustration and graphic elements were also introduced to further develop this linear approach and to help convey the modern aesthetic of the building. 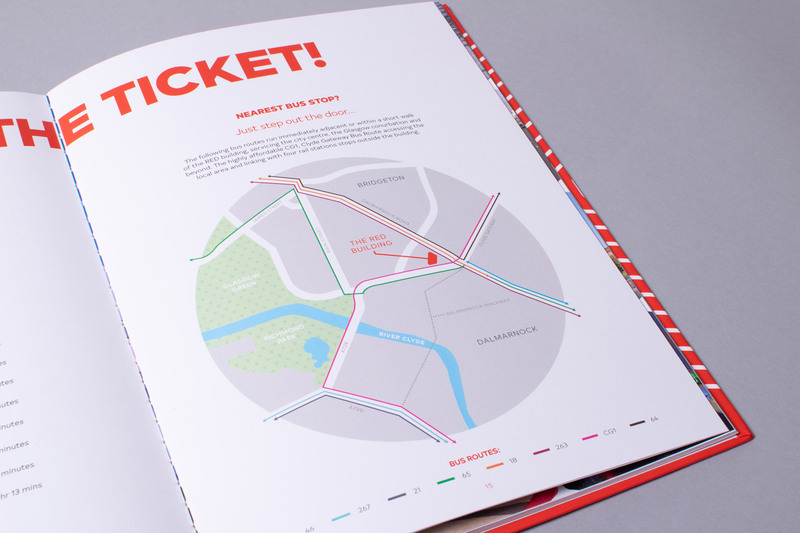 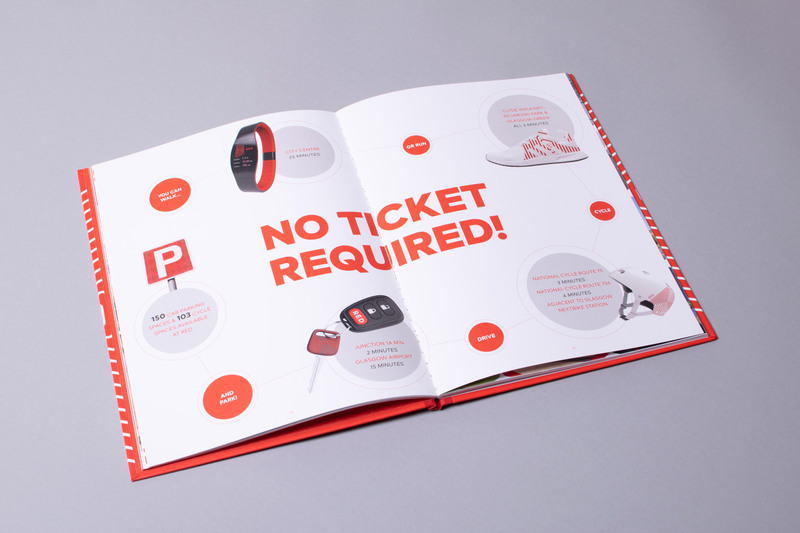 A colourful holding page was created again mirroring the curved elements of the brand and featuring a carousel containing a selection of the computer generated images that had been created for the print work.